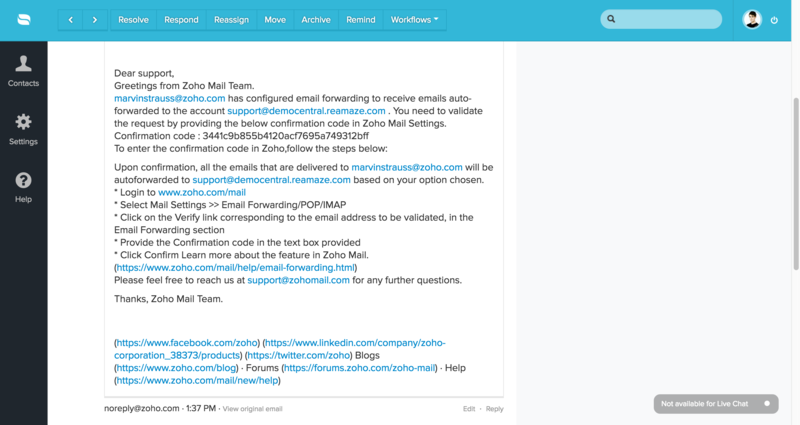 Zoho Mail is a great email provider that many businesses use for support purposes. 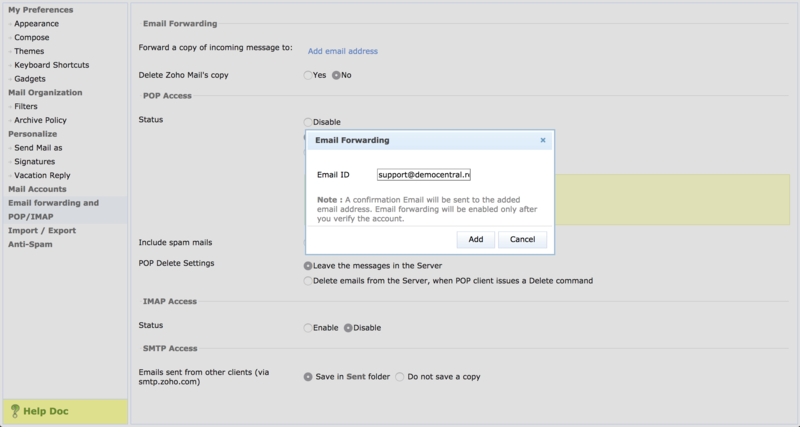 Here are the steps you need to take in order to set up forwarding into your Reamaze email channel. Locate the settings menu for your Zoho Mail account in the top right hand corner of your dashboard and look for the "Email Forwarding POP/IMAP" option. Insert the email channel address from Reamaze. 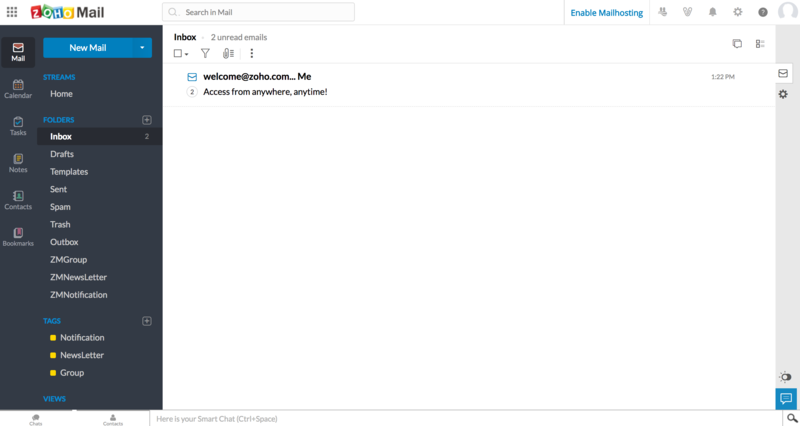 This will have been provided for you when you added a new Email Channel. 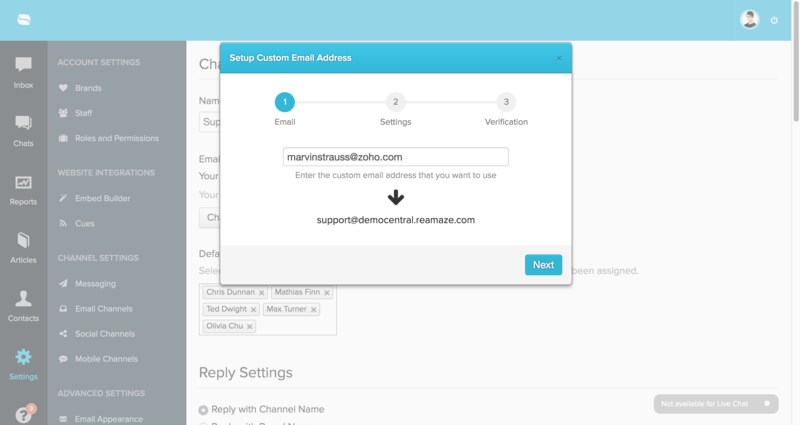 You will receive a confirmation message and number in your Reamaze email channel from Zoho Mail. Copy the confirmation number found in the email. 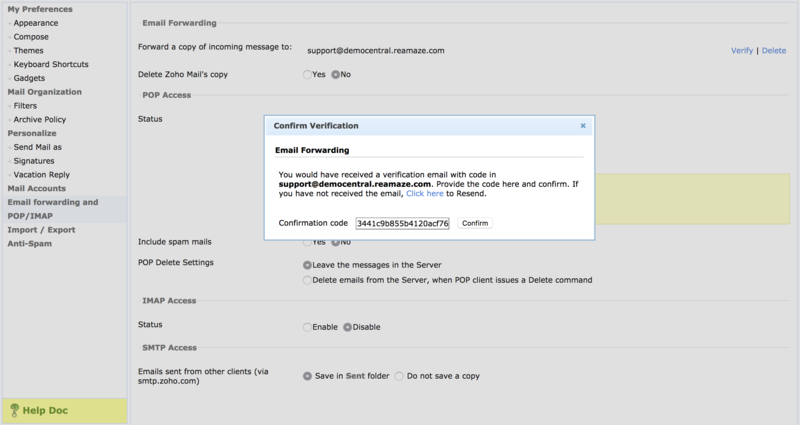 Paste in the confirmation code and click confirm to save the forwarding settings. 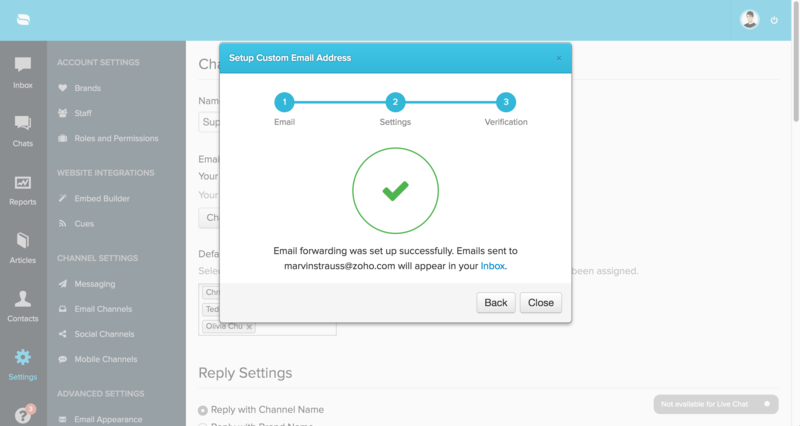 In your Reamaze email channel settings click on the "Change" button to start the connection process and follow the on screen instructions. 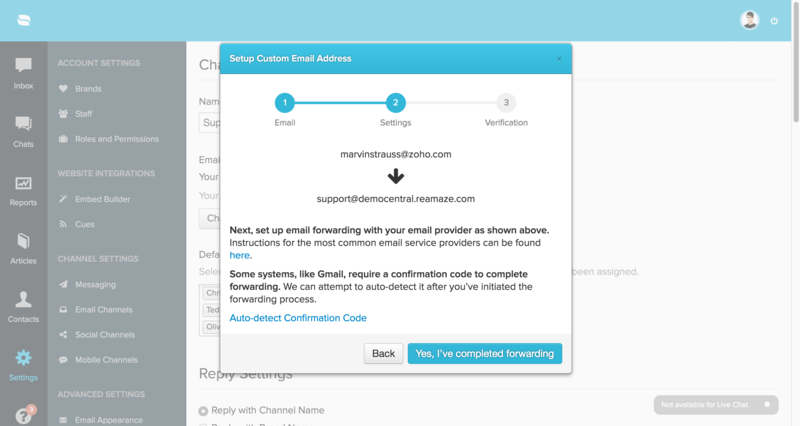 Using an email that's not already associated with your Reamaze account, verify that forwarding is working by sending yourself an email. You should see a copy in your Zoho Mail account as well as a copy in your Reamaze channel.